"7-zip, for 32-bit machines, is an easy to use lightweight compression software to compress or archive your large files and directories." 7-zip, for 32-bit machines, is an easy to use lightweight compression software to compress or archive your large files and directories. Compression software like 7-zip can be very useful if you plan to store large files that are important to you, but you don't really use anymore. Though, you can also do this to save space for pretty much any purpose. You can use 7-zip to compress and store file directories containing a lot of files for file storage reasons, as well. 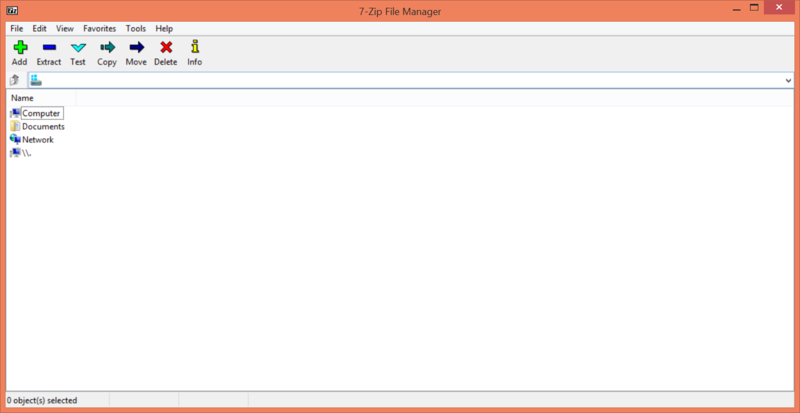 7-zip is useful when storing large files you don't normal use or directories of files you plan to store, but it is also quite useful for simply reducing the size of the files for transferring them over a network. To be absolutely efficient in a business environment, especially one that requires a lot of network usage on a daily basis, reducing the amount of bandwidth you use can make a huge difference in the load of your network. You can use compression software like 7-zip to compress your files which can greatly reduce the size of the files, and transfer them over the network. Do you have a slow Internet connection but need to transfer some files to another machine at a remote location? Compression software, such as 7-zip, can reduce the amount of time it takes for the file to be uploaded to the remote location by compressing it with 7-zip. This can make a huge difference in the file size, reducing it to a size that can make it much more manageable to transfer over a slow network. This is the 32-bit version of 7zip.